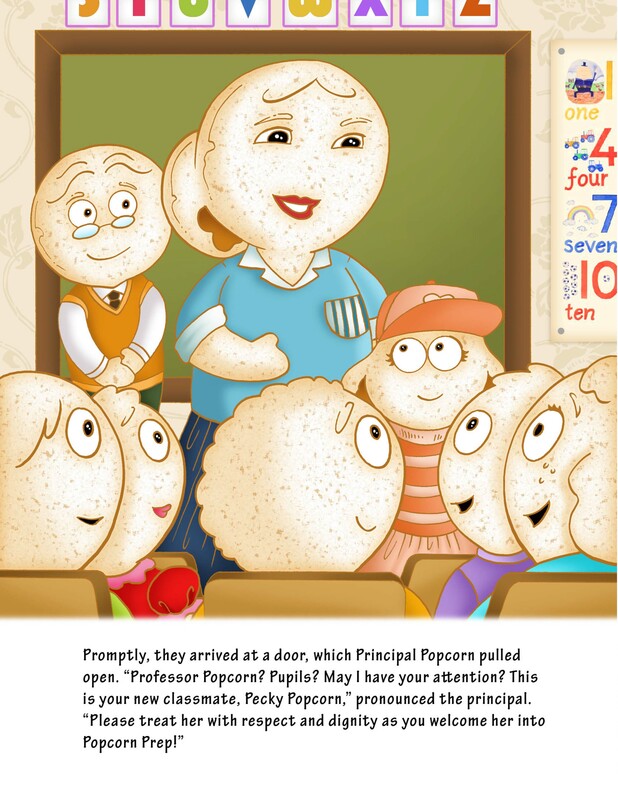 In 2012, at one of our first school visits for Pete the Popcorn, we were approached by a mother with tears in her eyes. Her young son, Tyler, was being picked on for being overweight. She couldn’t understand why kids wouldn’t encourage each other instead of tearing each other down. Nick Rokicki had an immediate personal connection. He was overweight as a child and was also picked on for this. And, as an adult, also struggled with the scale, like so many of us. Joe and Nick knew that this topic would be one to tackle in time. But first, Nick wanted to get his own health under control. 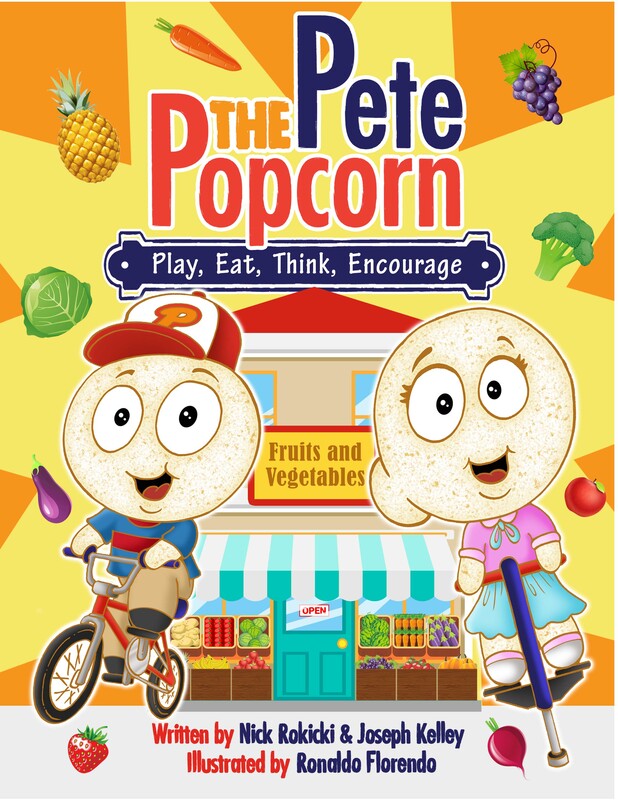 After losing 70 pounds through diet and exercise, Joe and Nick wrote Pete the Popcorn: Play, Eat, Think, Encourage. Play: When you’re on your pogo stick or riding your bike to school, that’s exercise! Eat: We all have to eat in order to survive. Eat foods that are colorful and not processed! Think: Every day, think about your goals and what you’re going to do to accomplish them! Encourage: Simple. Encourage everyone around you to make healthy choices, too.